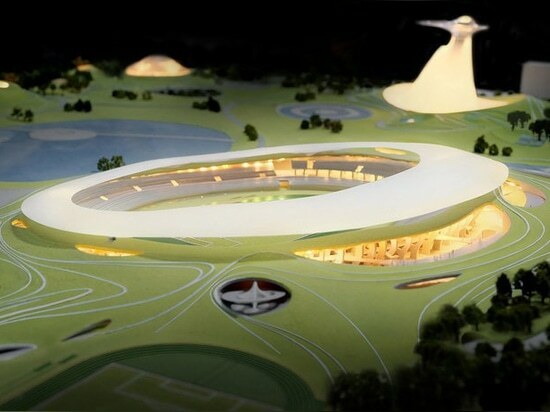 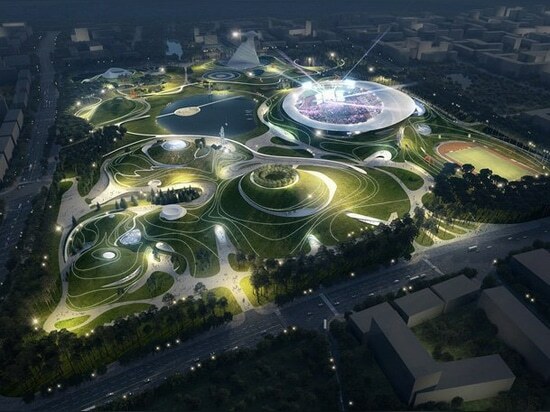 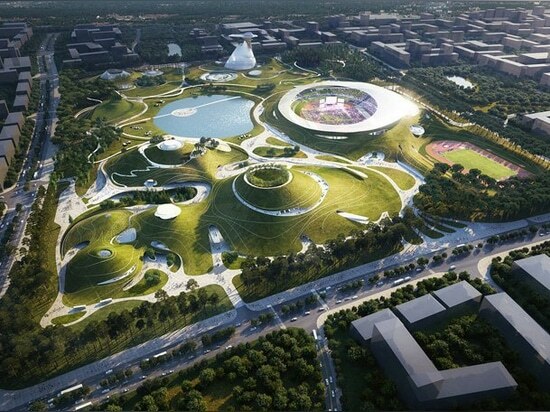 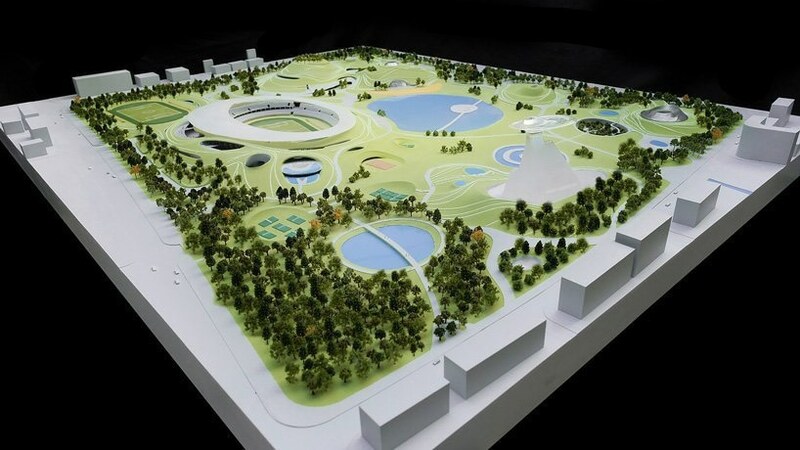 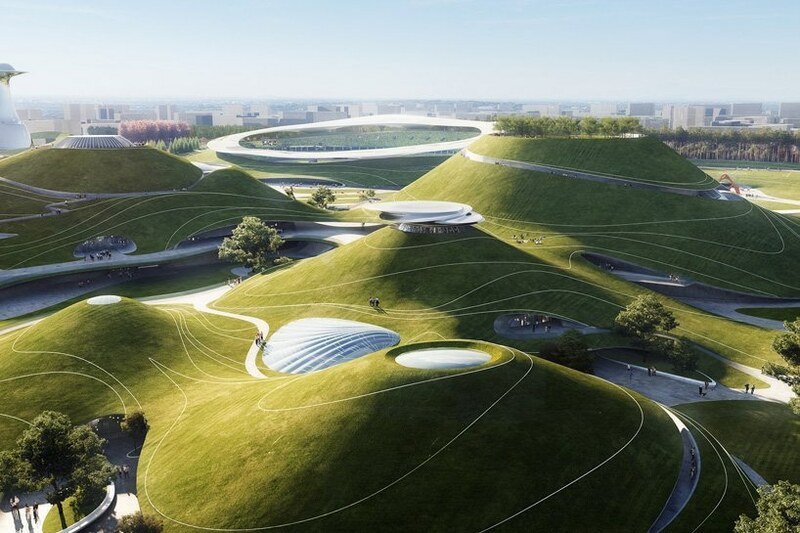 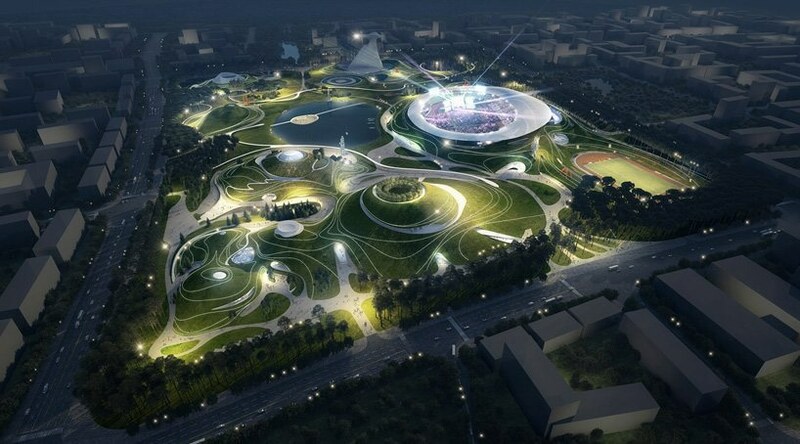 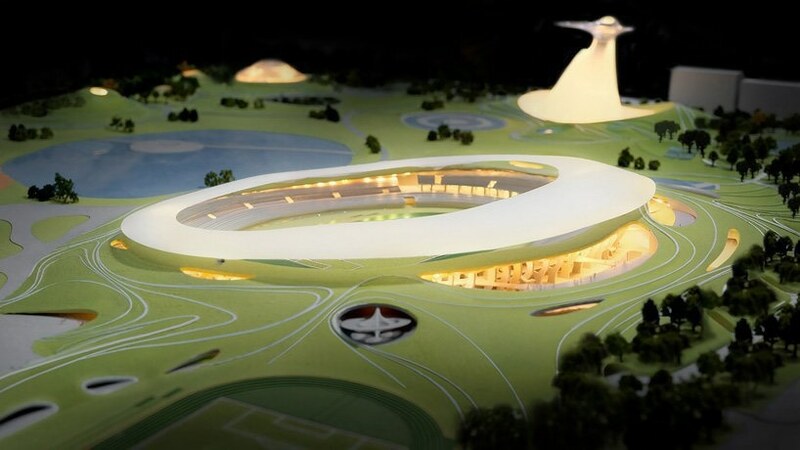 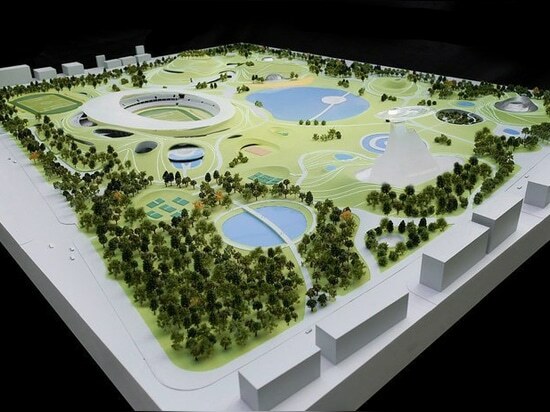 ‘we dream not only of creating an urban space about sports and ecology, but also turning it into a unique land art park for the world, establishing a relationship between the city’s heritage and history of shanshui culture,’ notes ma yansong, founder and principal partner of MAD. 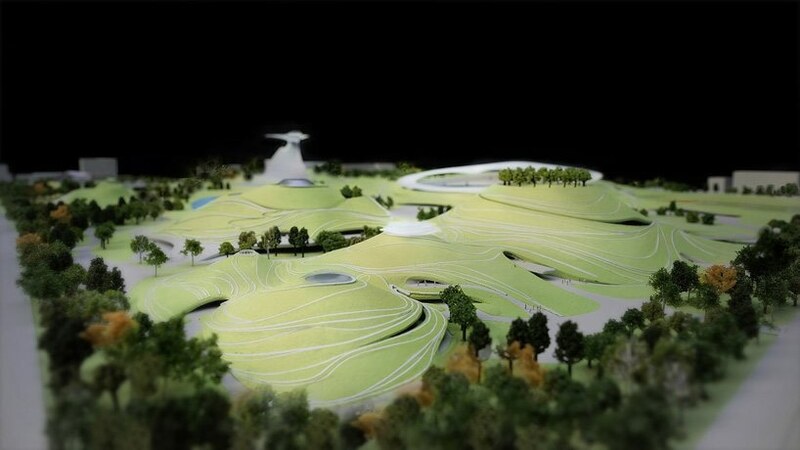 surrounded by a dense forest of tall trees that seclude the site from the city, the campus takes the form of an extraterrestrial landscape, featuring a series of mountains and a lake conceived as a sunken garden. 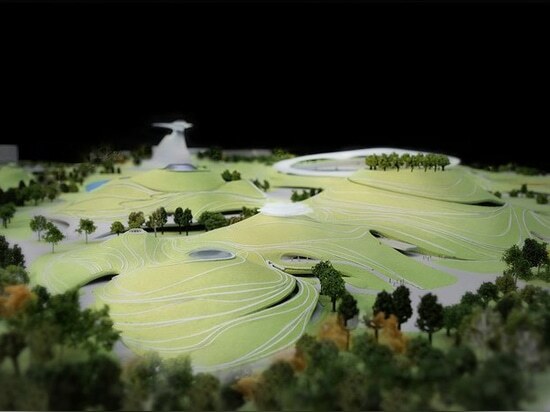 visitors move through the park drifting, climbing, and traversing the terrain, which culminates in the crater-shaped stadium. 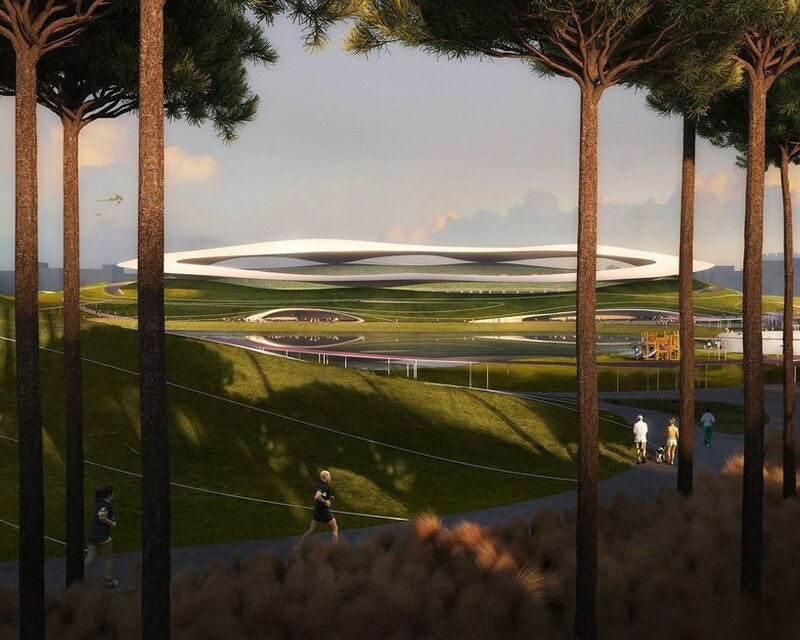 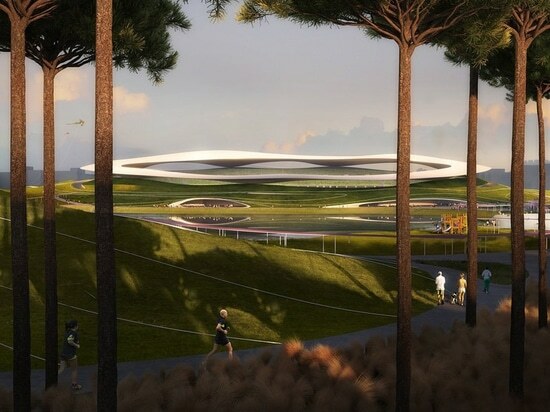 crowned by a translucent ‘halo’ that gently hovers above the ground like a floating cloud, the stadium stands as a spiritual metaphor, inviting people to engage in a dialogue between earth and sky. 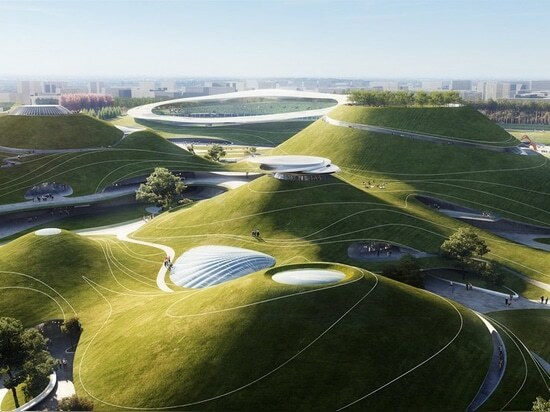 the adjacent rolling ‘hills’ on the northeast side form the gymnasium, natatorium, and training center, above which are public spaces and natural scenery that attract people to look up and pause in a moment of contemplation. 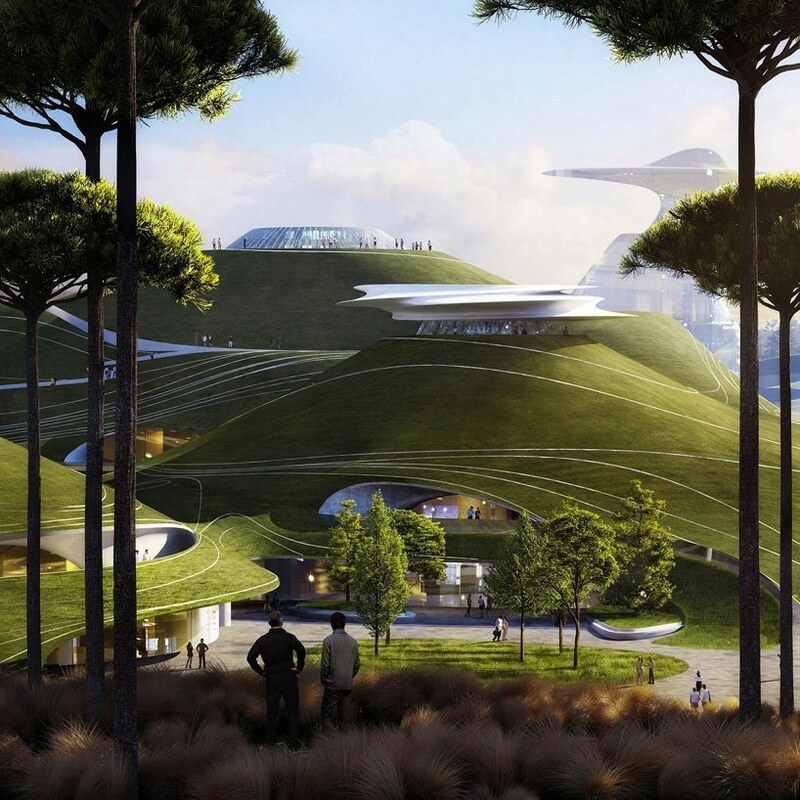 the interiors and exteriors of the buildings are connected to nature, providing an openness towards the landscape. 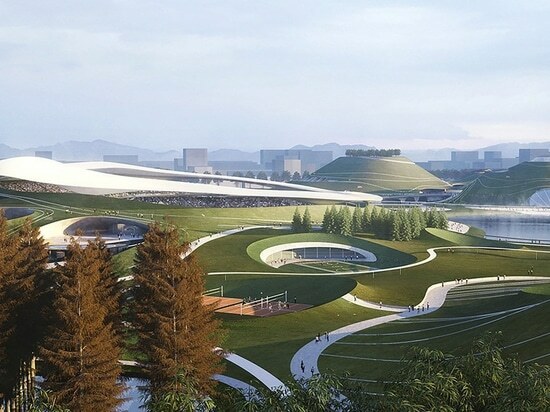 pathways between the mountains and the lake encourage people to slowly walk around the park, run along the trails, or just enjoy a seat on the lawn to take in the scenery. 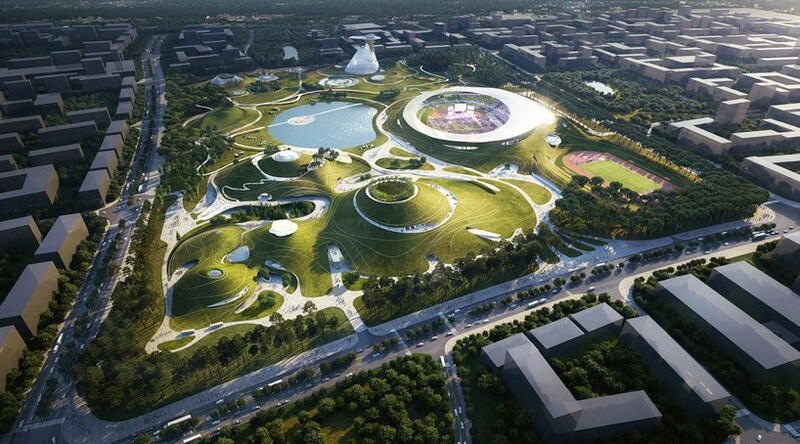 natural light enters the buildings’ interior spaces through platforms or skylights, which also provide natural ventilation. 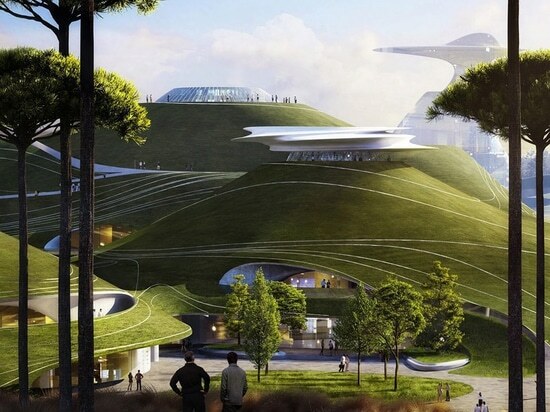 the mountain-like exterior forms are covered in greenery, which while being energy-saving, are also human-scale and accessible.